When you upload your picture as a Google picture to your Gmail account, whenever you send a mail, this picture of yours would be visible to your contact on rolling over your name in the Inbox, contacts or quick contacts. It is not necessary that you put your own picture, you can upload whatever picture you desire to put only the restriction is that the image file type should be JPG, PNG or GIF. 2. In the General tab of the Settings, find out the My Picture setting. Click Select a picture, the Upload a picture window will appear. 3. Click Browse and select the picture file from your computer. Then click Open. Click on Apply Changes. 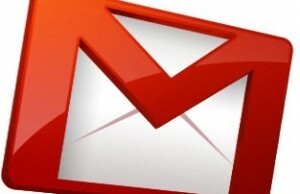 These changes would be saved as your profile picture on Gmail server, your original photo will remain as before. You can download the resized photo from Gmail and can use it anywhere, on any other social networking website as your profile photo too. I imagine, Gmail doing a tiny photo editing job!!! This picture would also be shown as your profile picture in Google Talk. In fact, you can upload your profile picture to Gtalk, it would appear on Gmail after some time span. This profile picture is common and will be applicable to your Google account, in fact! Don’t forget to save the changes to the settings by clicking the Save Changes button at the center bottom of the General settings page.